StreetPass remains a wonderful part of the 3DS, and communities around the world give 3DS owners a chance to meet and enjoy gaming together. 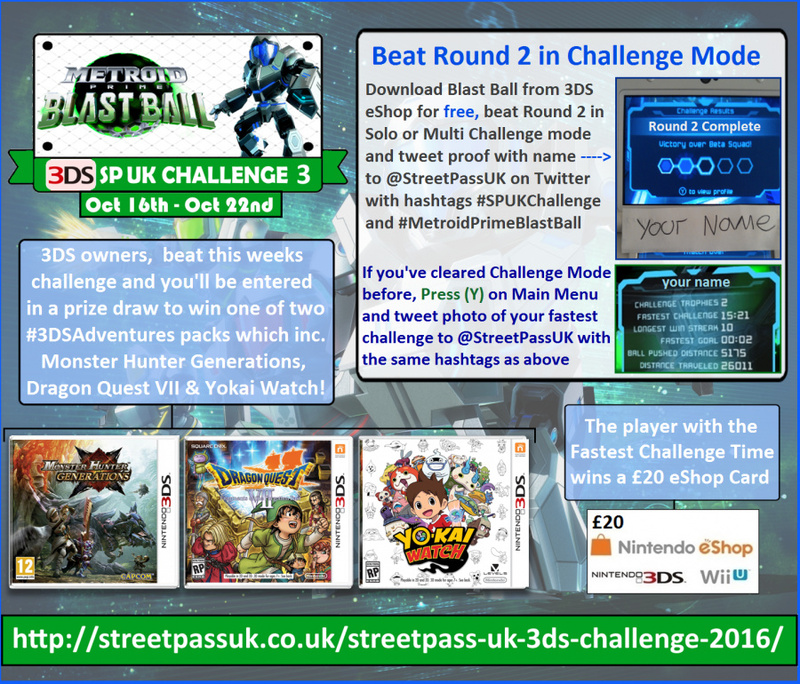 StreetPass UK is one example, helping to support and organise events throughout the year, and is currently running a special series of challenges. The group's Paul L. Russell has put together some information on this contest, which is now in its third week and has multiple prizes. He shares details below; naturally this is for UK entrants. 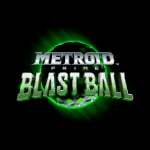 Week 3 of Nintendo Community group StreetPass UK's month long #SPUKChallenge competition wants players to set their sights on beating Round 2 in Metroid Prime: Blast Ball's challenge mode. Don't own a copy of Metroid Prime: Federation Force? Don't worry, Blast Ball can be downloaded for free from the 3DS eShop in the UK! To enter, submit your proof by following the instructions in the poster above and you'll be entered into a prize draw to win one of two #3DSAdventures Packs, kindly supplied by Nintendo UK, featuring a trio of 2016's biggest Nintendo 3DS games: Monster Hunter Generations, Dragon Quest VII: Fragments of the Forgotten Past & Yo-kai Watch! The best of the Federation's Elite can also net themselves £20 worth of Wii U / 3DS eShop credit by tweeting the 'Fastest Challenge' time before the contest ends at 11:59pm, on Saturday, October 22nd. You can find more info on the SPUK Challenge competition in the source article below. Better make the most of it. @AlexSora89 That's quite a GIF. What can I say, I have a GIFt. @ThomasBW84 do you think we will ever get street pass challenges in north americia? @Diamondhero It'd need local groups to set it up, really. There are sometimes StreetPass Relay events, though. @Diamondhero If i lived in North America, i'd have run one for you. Alternatively, if i could have the ear of someone at Nintendo of America to source the prizes and give it some backing, i'd happily run this one for North America. Oh man, I hope Federation Force controversy doesn't break out. Wow, I just gave this a go.... it's really hard!